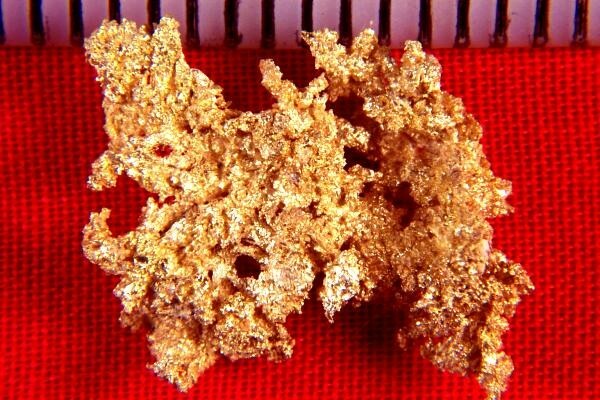 This is a large sponge gold nugget from the Famous 16 to 1 Mine is Alleghany, Sierra County, California. It has a lot of surface area for the price at over 3/4" long x over 1/2" wide. 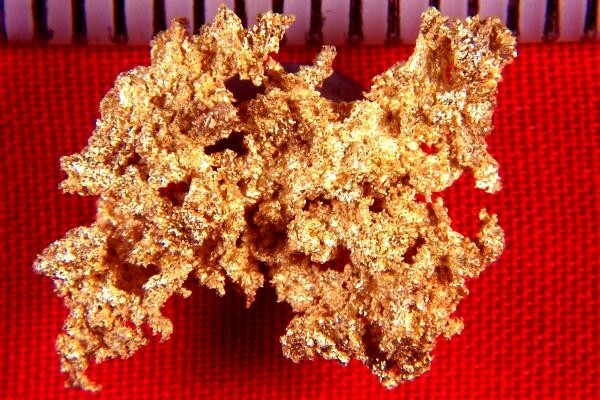 The weight of this rare gold specimen is 44.4 Grains (2.88 Grams). Sponge gold is very rare and hard to find and you don't often see it for sale. Sponge Gold Nuggets are called that because the surface is coarse and rough like a sponge. This beautiful gold specimen has a very intricate structure and the color is absolutely gorgeous. I only have a couple of pieces of rare sponge gold, so if you want to get some for your collection, now is your chance.